Fire safety should be a responsibility and moral obligation of everyone, though certainly in the case of businesses in the UK, it is not an option, but a legal obligation. The new Fire Regulatory Reform (Fire Safety) Order 2005 came into force on 1st October 2006, the main change from the old Regulations is the need to complete and maintain an up-to-date fire risk assessment. Also one of the requirements of the Order is to appoint a person to look after the fire management and where necessary to act as a fire marshal. The new Fire Regulatory Reform (Fire Safety) Order 2005 places the onus on employers and business owners to look at their fire systems and emergency procedures and appoint appropriate staff that are preferably trained. There are several courses available, but a respected one is the Singleton Associates course. LincsMag went to one held at their training centre in Lincoln. 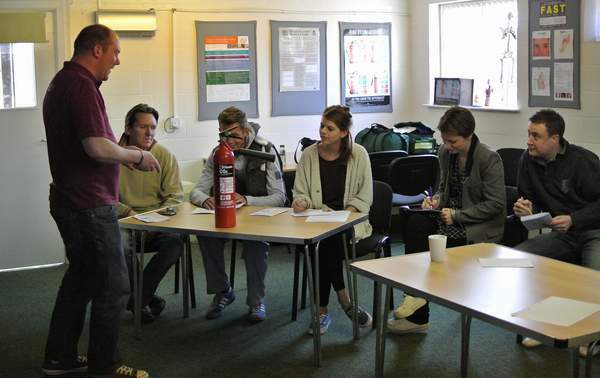 Expertly done by the trainer, Adie Trevelyan, with at times a spark of humour and his own personal experiences, the course provided the necessary information and instruction to equip trainees with the knowledge required to carry out their Fire Marshall responsibilities. Interesting facts are revealed and the use of videos explores the devastating effects of fire and how to prevent it happening, which often can be easily done. 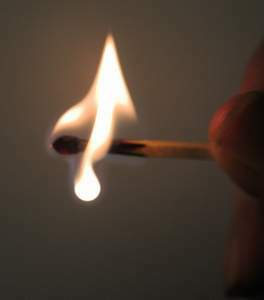 The responsibility of a Fire Marshal is not just to help organise an evacuation in the case of a fire as well as to prepare and assist the arrival of fire fighters, but it is also to ensure the possibilities of a fire starting in the first place has been removed or at least minimalised. As they say, prevention is better than cure. A very worthwhile course that can help to not just save a business from going up in smoke but also and more importantly save peoples lives. (picture above) Key staff members from the Castle Hotel are taking in the fundamental requirements for providing the best safety measures for their guests from trainer, Adie Trevelyan. Comforting to know if you ever stay at the Castle Hotel in Lincoln.